The Trinitarians and the Archdiocese of Guwahati helped the construction of a house for Mr. Francis, who has been help the mission for a decade as the driver. Fr. 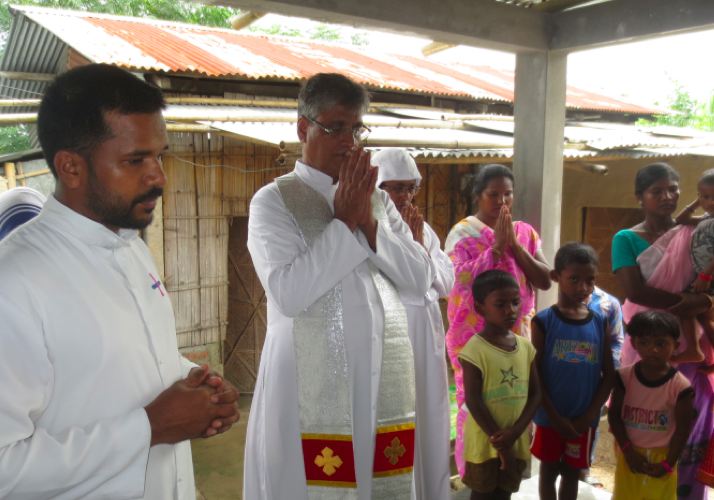 Mathew Anchukandom, the Parish Priest of St. Jude Catholic Church, Nagarijuly was the main celebrant for the blessing. It was a happy celebration for the communtiy.